In a bid to address the country’s graduate unemployment crisis, students in Nigeria may have to spend an extra year at university to obtain the necessary skills required for the labour market. The proposal, made by Minister of State for Education, Professor Anthony Onwuka on 8 May at a recent retreat for the Governing Council of Federal Universities, marks the first time in recent years that a high-ranking federal government official has openly admitted that Nigeria’s university system is in crisis. “Many university graduates are not good enough to be employed by the industries”, Onwuka said. The Students’ Industrial Work Experience Scheme had also failed universities, he said, while the Nigerian university system had failed in producing quality graduates who should be employed in industry. “This is a big challenge and it remains a major problem in the Nigerian university system. 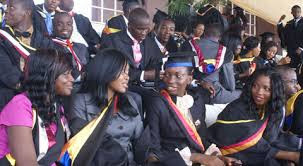 At what point do we find the synergy in addressing this problem of graduate unemployment?” he asked. The minister said details of the proposed extra year for other courses would soon be finalised and sent to the National Assembly with a view to it becoming law.